Every exhibit tells a different story. We tell thousands a year. An engaging experience is not limited by square footage. 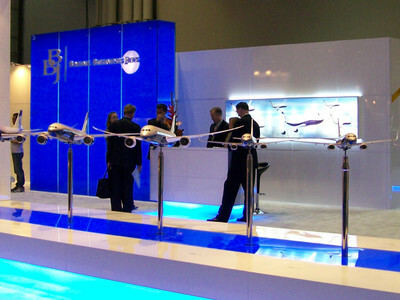 Some clients require a show-stopping 10x10 booth. Others need a full-sensory exhibit that walks attendees through a transformational experience. No matter how you want your exhibit to tell your story, we offer a full-service solution. We proudly serve clients with many needs, including one-time booth rentals and bespoke immersive experiences. We start with your individual needs. Your goals. Your challenges. Your budget. We're laser-focused on your objectives to create an exhibiting strategy that will best engage your attendees. We can keep it simple, or we can activate your brand on a global scale. From furnishings that match your company look to custom-designed experiences, the breadth of our exhibit capabilities is unmatched. Whatever your exhibiting goals, our people, process, and passion are the best partners for your success. e4 Design, located in Norcross, GA, offers custom rental exhibit booths and exhibit solutions, including a wide variety of accessories, graphic design elements, and booth rental components used to design and create your perfect custom trade show exhibit. e4 Design’s custom rental options will change the way you view trade show rentals.